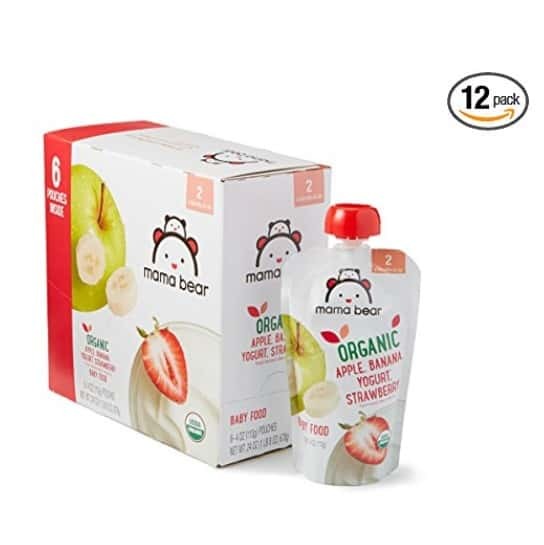 The Mama Bear Organic Baby Food Pouch 12-Packs are on sale for $11.97 at Amazon right now when you select Subscribe & Save. That's over 20% off the list price of $15.75! Or you can just choose to just order one time and pay $12.60. (You can cancel Subscribe & Save right after your first delivery if you don't wish to continue).